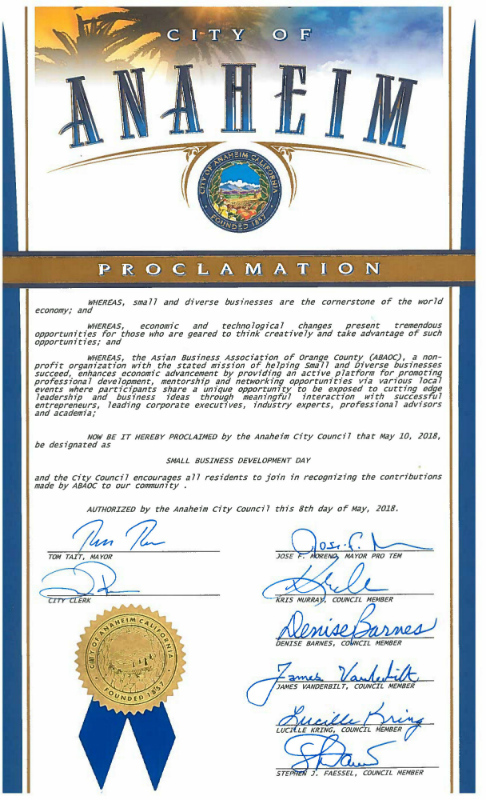 The ABAOC is honored to be recognized by the City of Anaheim for its contributions to the Business community. Thank you! and the City Council encourages all residents to join in recognizing the contributions made by ABAOC to our community. AUTHORIZED by the Anaheim City Council this 8th day of May, 2018.